Painting Pro’s creates custom interior finishes to make you fall in love with your home all over again. We can paint bring unique painted finishes to any room in your home! From entry ways and foyers to dining rooms, kitchen to bathrooms, stairways to wine cellars, and of course bedrooms, Painting Pro’s can bring a fresh new look to the interior of your home. 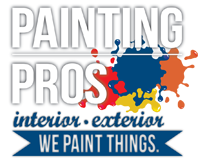 Painting Pro’s offers a wide selection of finishes to choose from, from basic painting to decorative and faux finishes. With such a wide variety to consider, the experts at Painting Pro’s are here to help you create the perfect finish for your home.